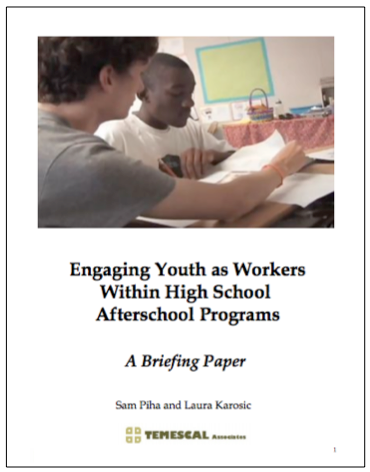 A couple of years ago, we conducted research on high school afterschool programs that engaged youth leaders and hired youth as staff. We published a comprehensive briefing paper that examined ways to compensate the youth, the legal issues involved, program examples, and what youth have to say about their experience. You can review this paper by clicking here. 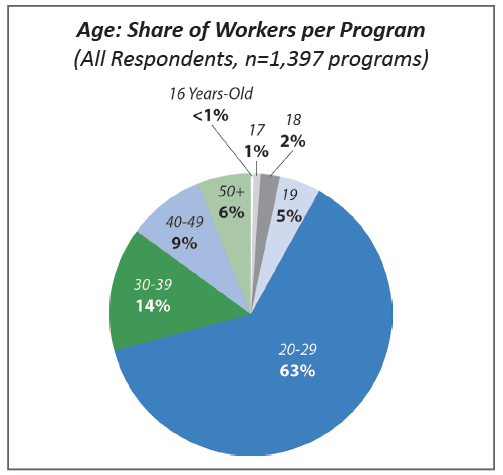 While most afterschool staff are between the ages of 20-29 (63%), few are under the age of 20 (just over 8%). Below we offer the perspective of a program leader who is a leading practitioner and proponent of this idea. In an upcoming blog, we will offer the views of older youth and program alumni who have been impacted by the opportunity to work within afterschool programs. "Over my 34 years working in the after school and youth development fields, I have personally witnessed children become confident, young leaders within our youth development programs. Then, finish college and become professional staff within our agency. I have seen our low income youth of color go from being disenfranchised to now entering the upper middle class and becoming a professional engineer, doctor, social worker, architect. I presently have 20 Board Members, seven of which are professionals who were once youth in our programs and now are capable adults doing extremely well financially and paying it forward by both volunteering and donating generously to our programs. The moral to this story is that we need progressive, seamless programming for our young people to have a place to grow up in throughout their childhood and adolescence and into young adulthood. When we can support, nurture, develop skills and mentor our youth and young adults, then we create a new generation of activists and supporters of the cause of youth development. These young adults are the ones that we need to have take over the leadership of our programs and become our volunteer board members and advocates for the next generation of youth. That is the ultimate visionary goal and I have seen it come to life before my eyes over the past 22 years here in Long Beach. In my experience, that is why after school programs are so important for youth. Providing ladders of leadership for youth is the next strategic step in that continuum. Engaging youth in the operations of programs is important because it provides young adult mentors for our children who come from the same neighborhood, culture, ethnicity and relatable experiences as those children. It provides appropriate role models for children who model high school graduation, college attendance, etc. It provides hope and examples for our children that they can achieve further education. Lastly, young people in adolescence and post adolescence are seen by children as popular and cool! This dynamic enriches the lives of the children by providing a big brother/sister dynamic and enriches the lives of the young adult by them as they become mentors and leaders to younger children. It is much more of a personal and intimate relationship than the institutional teacher/student relationship. It creates a 'camp' positive group dynamic at a school site." Bob Cabeza is Vice President of Community Development at the YMCA of Greater Long Beach & Change Agent Productions. 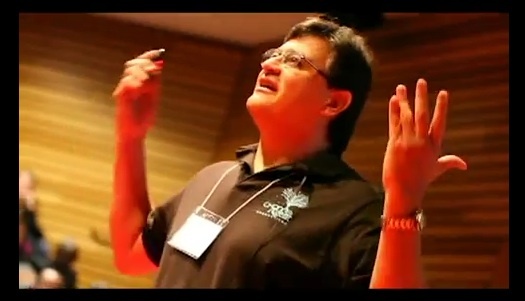 Mr. Cabeza has over thirty years experience in youth development, community development and digital media arts programming, resulting in the ability to build and lead unique programs designed to better the lives of children, youth and families. 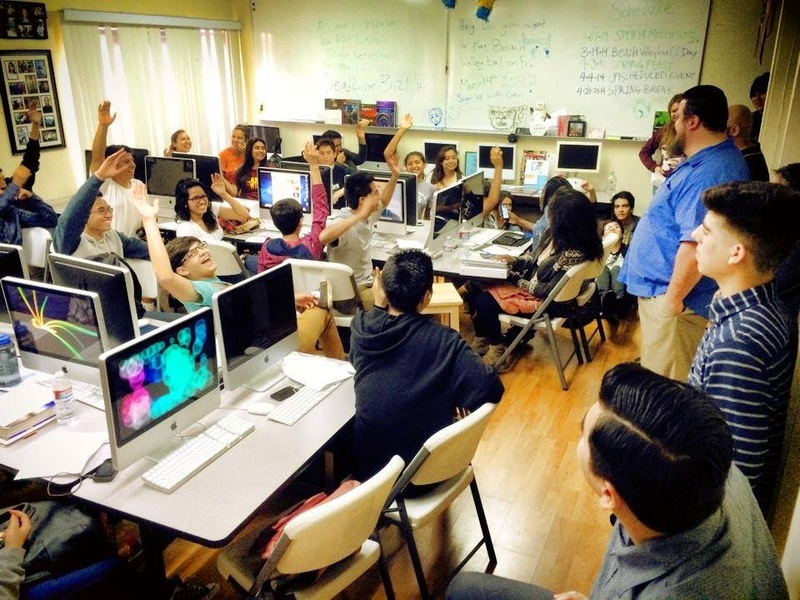 Mr. Cabeza has a special focus on youth development and technology equity for underserved communities as it relates to developing both academic and workforce success.